Not to sound like our grandmothers, but how fast does time fly these days? 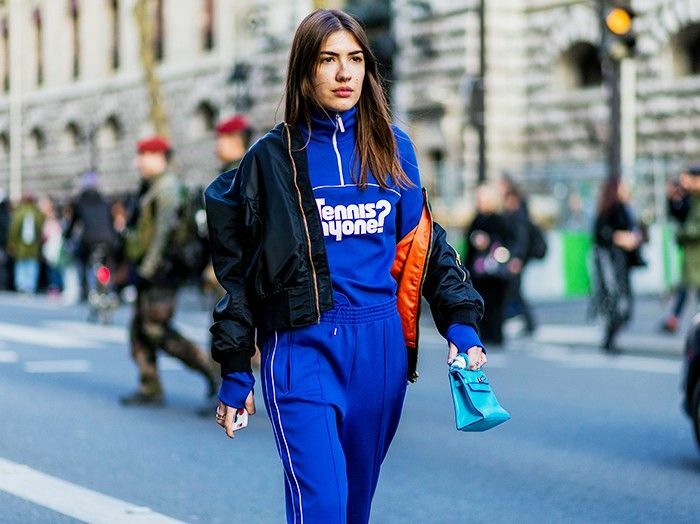 It's been a busy week on all fronts: The Paris Fashion Week schedule threw up some unexpected news; we got all obsessed over an American actress we hadn't really known that much about before; we noticed an insane number of fashion editors doing a new styling trick; and we saw the emoji fashion keyboard come to life… Phew! 1. British fashion journalist and blogger Pandora Sykes had a few questions surrounding the validity of the emoji clothes on your keyboard. 2. Some clever fashion people worked out that these are the nine most classic outfits a girl can always go to. 3. If you'd ever wondered if Gisele Bündchen can do her own makeup, this info on Byrdie UK should answer it. 4. EVERYONE was talking about this Paris Fashion Week show. 6. Everything you thought you knew about how to wear a jacket is all wrong. 7. London model and Victoria's Secret girl Leomie Anderson was announced as our new columnist! 8. We're suddenly very into American actress and very well-dressed lady Olivia Culpo—do you know who she is? What's been the piece of news you're into this week? Let us know in the comments box below—and shop the best new-in pieces here!